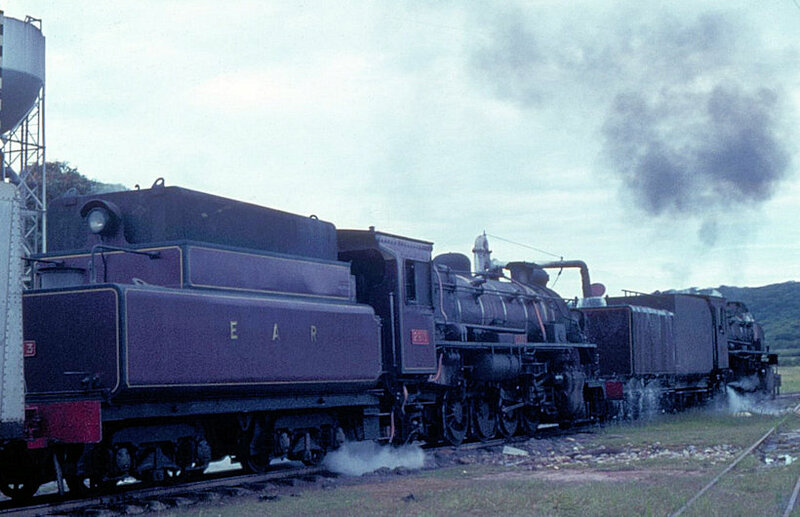 In 1955 and 1956, EAR&H introduced new and much more powerful steam locomotives for its Kenya and Uganda network: the 59 class Garratts. 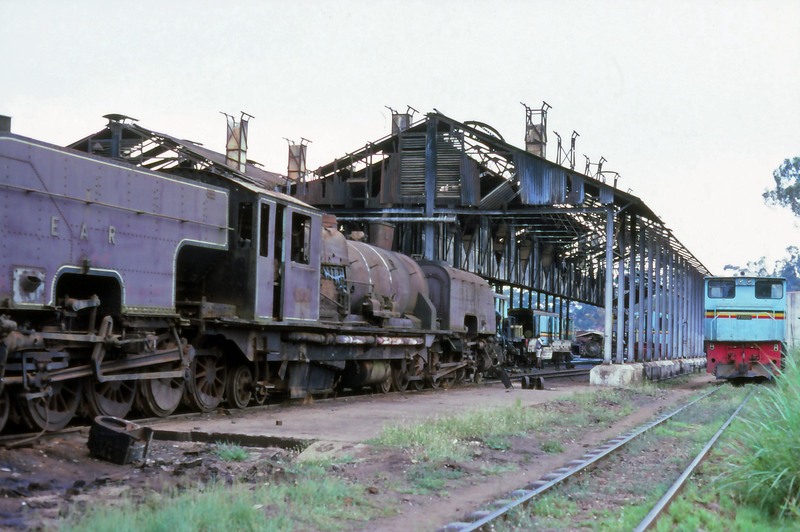 These were the mainstay of the section’s heaviest traffic until they started to be withdrawn from service between 1973 and 1980. 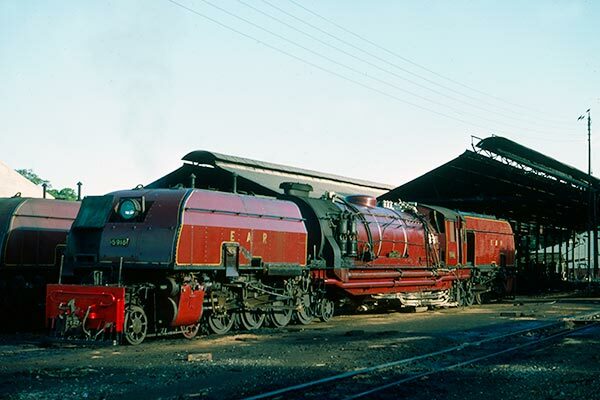 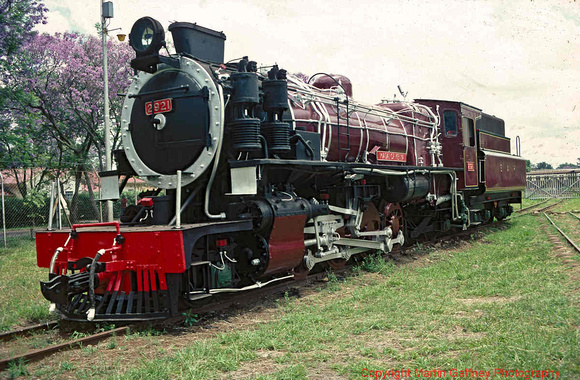 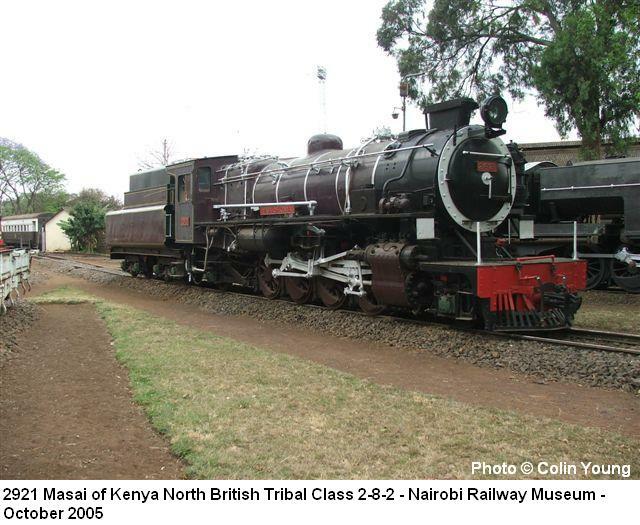 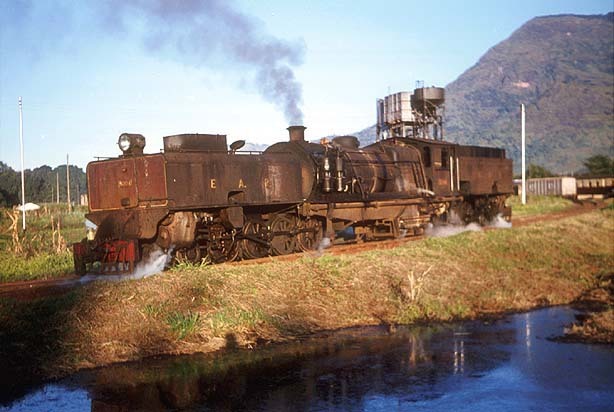 This post focusses primarily on locomotives to be found within Kenya and Uganda. 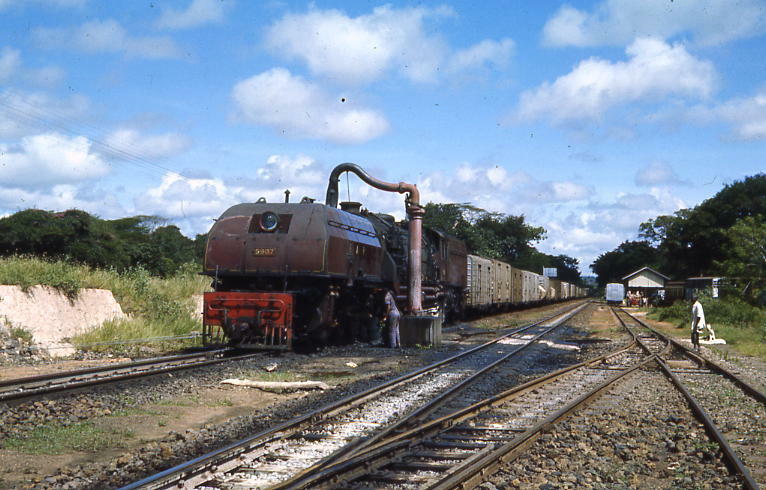 Those found primarily in Tanzania will need to be the subject of another series of posts in the future. 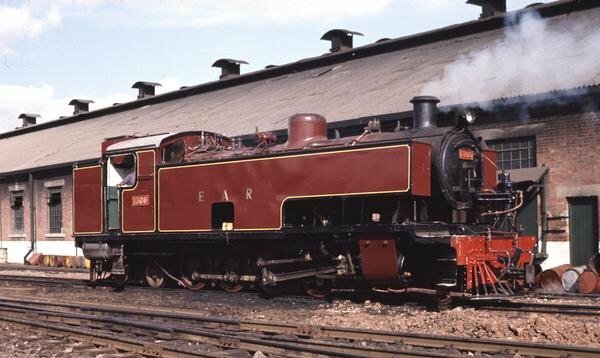 The EAR&H had tenure of the whole network for over 29 years. 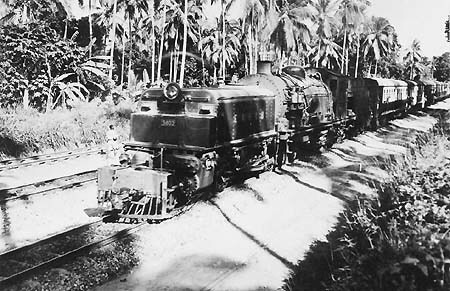 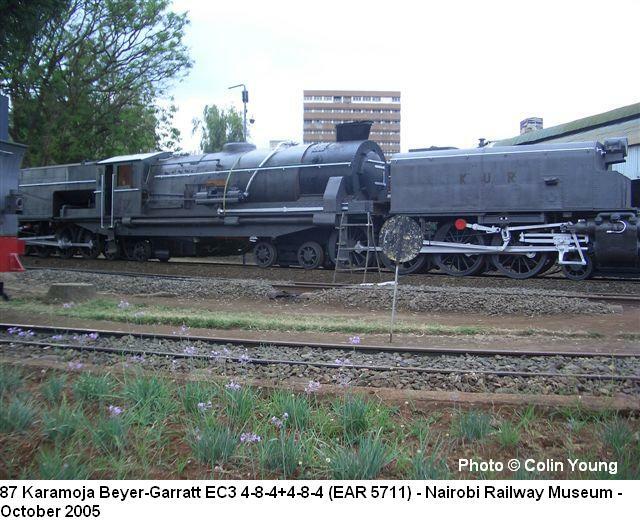 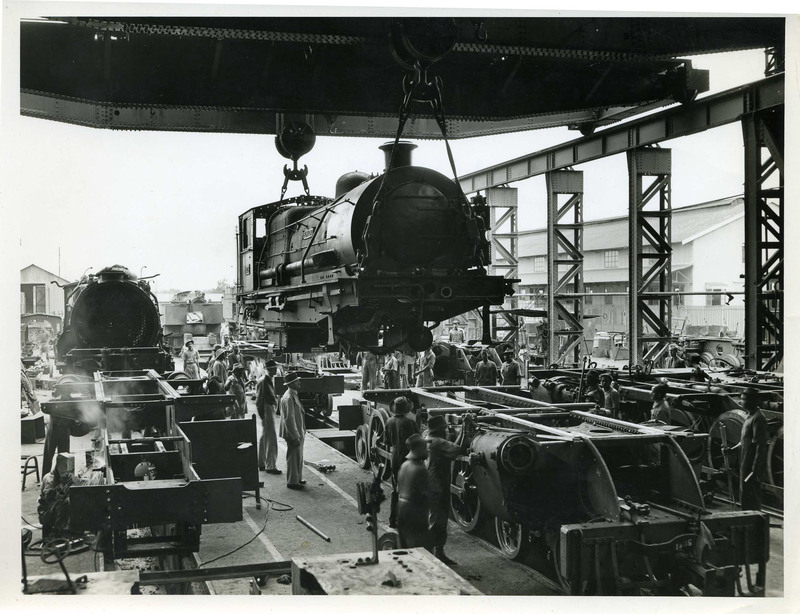 During this time new locomotives were bought and others were moved around the East African system. 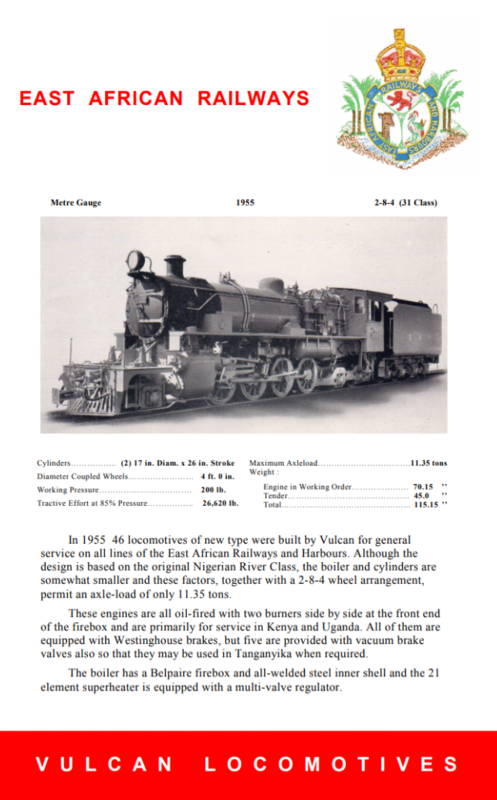 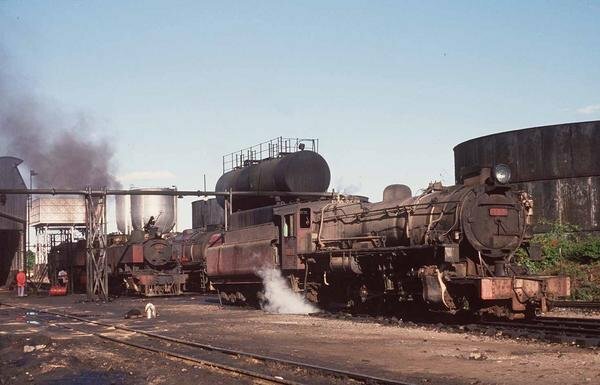 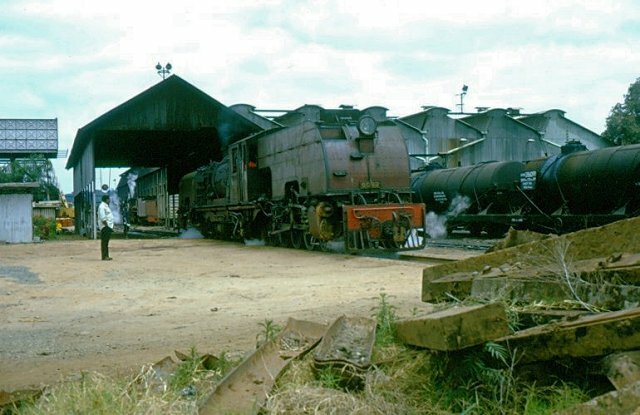 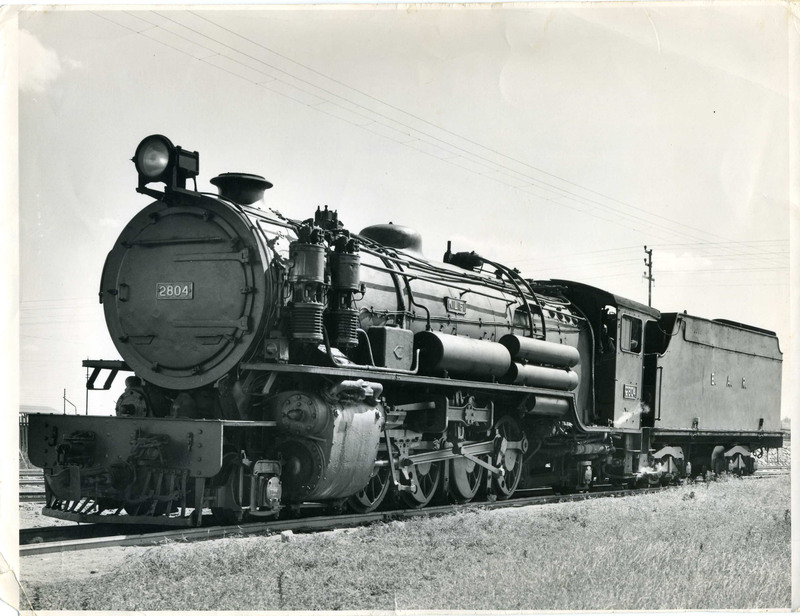 This next section of this post focusses primarily on the classes of locomotives that were new to the Kenyan and Ugandan rails. 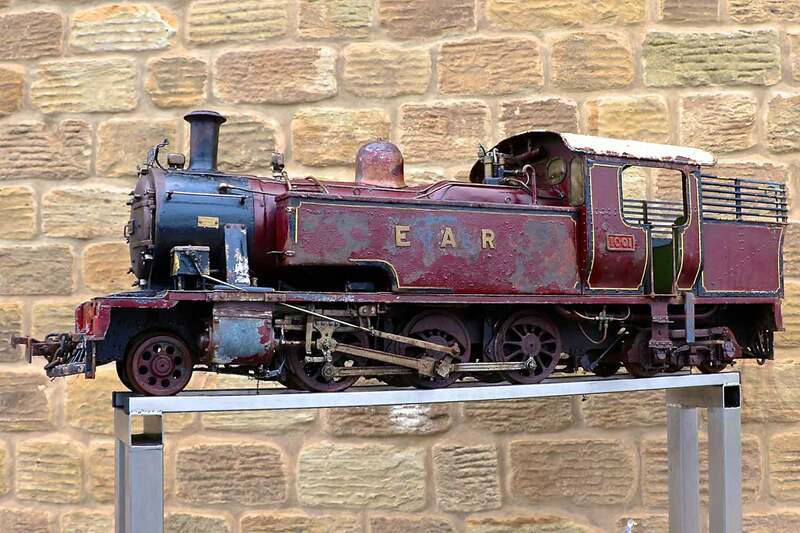 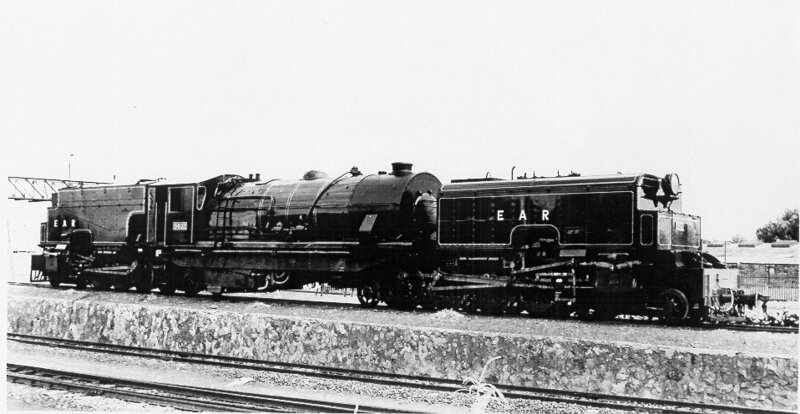 The EAR 58 class was a class of 4-8-4+4-8-4 Garratt-type locomotives built by Beyer, Peacock & Co. in Manchester, England, in 1949. 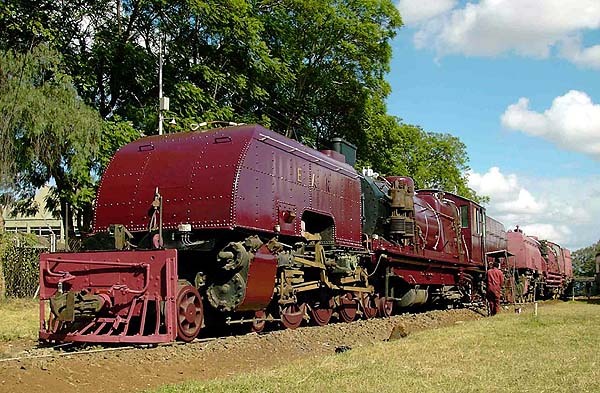 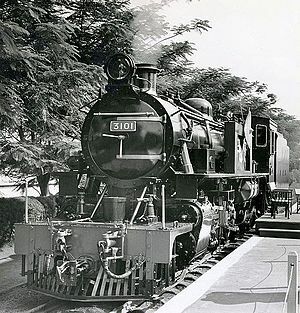 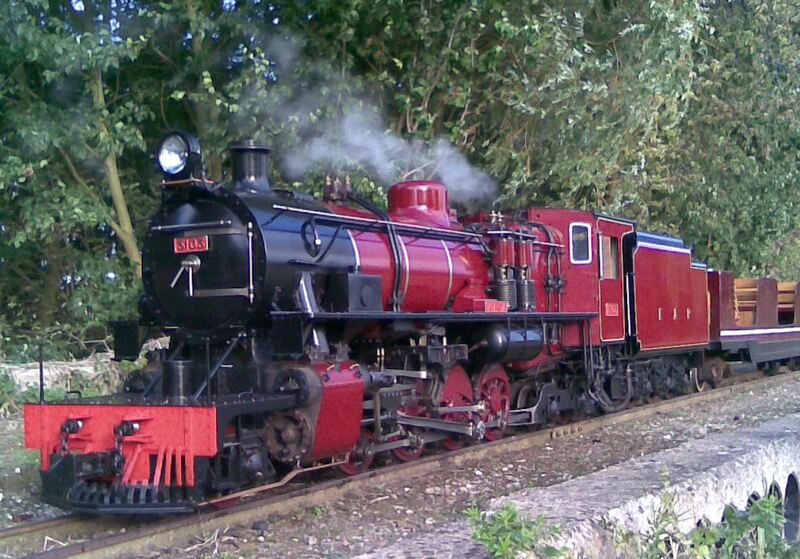 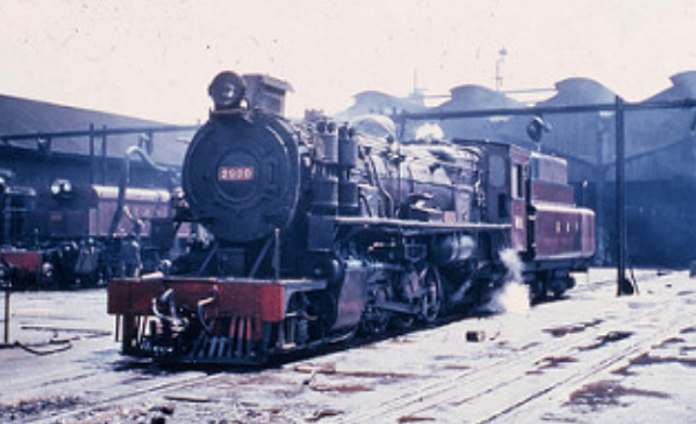 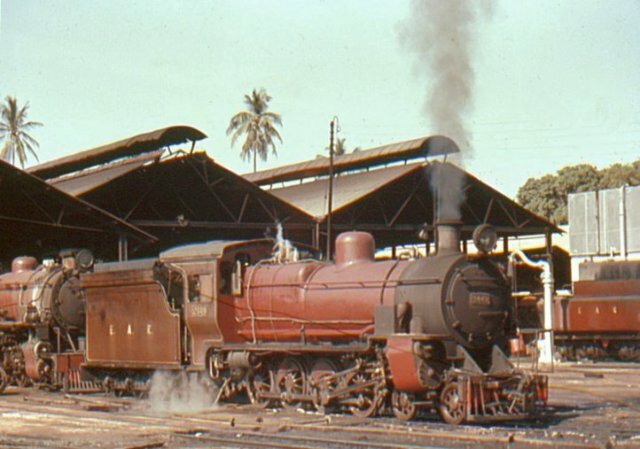 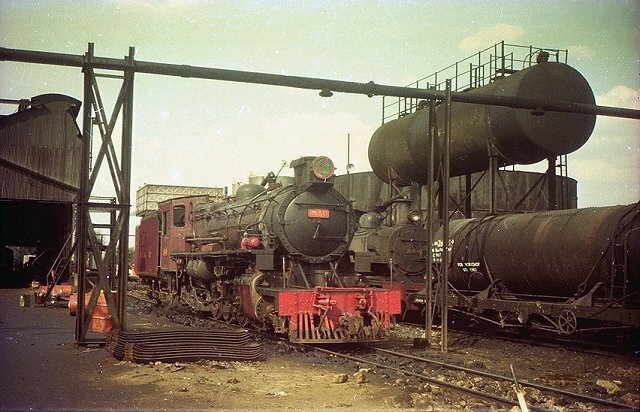 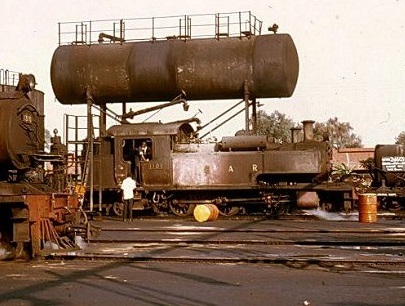 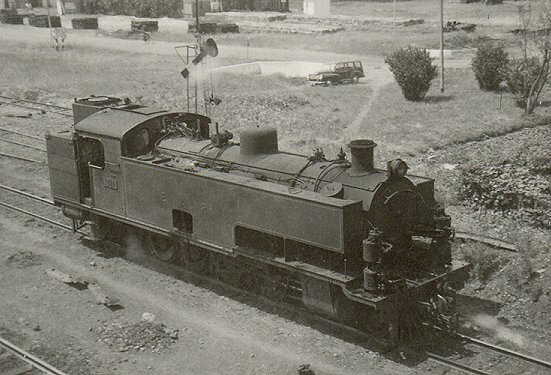 The eighteen members of the class were ordered by the Kenya-Uganda Railway (KUR) immediately after World War II, and were a slightly modified, oil-burning version of the KUR’s existing coal-fired EC3 class. 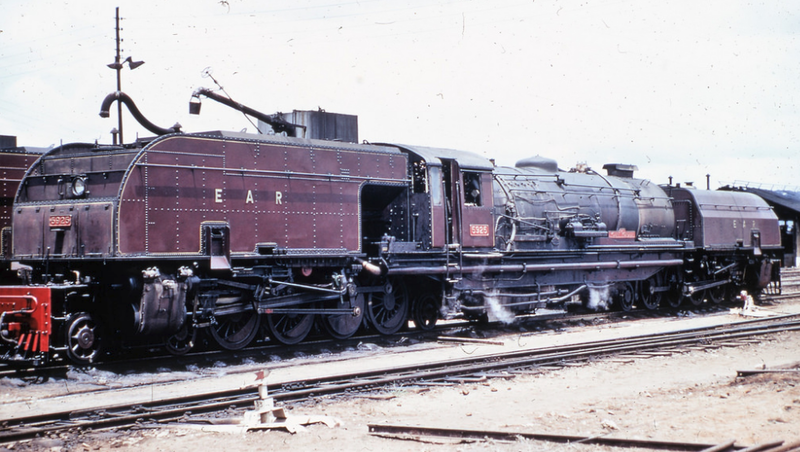 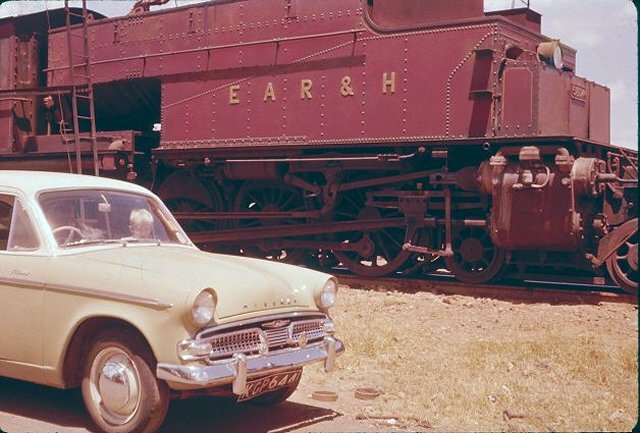 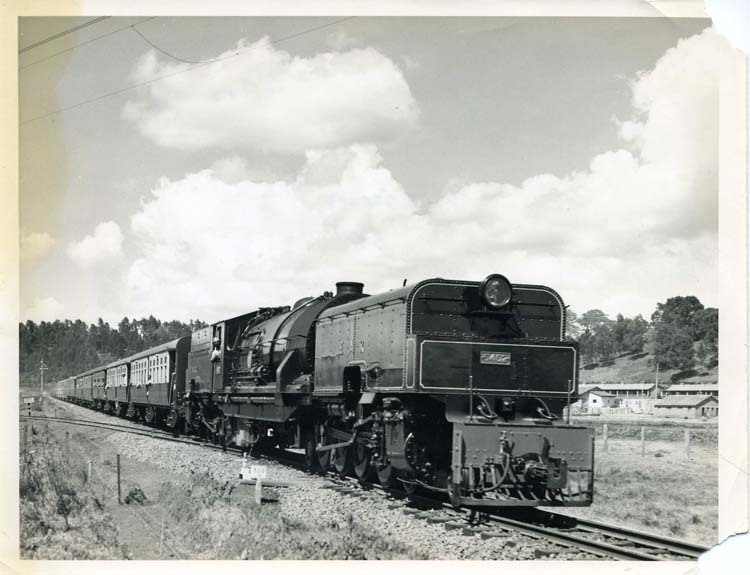 By the time the new locomotives were built and entered service, the KUR had been succeeded by the East African Railways and Harbours Corporation (EAR&H), which designated the coal-fired EC3s as its 57 class, and the new, oil-burning EC3s as its 58 class. 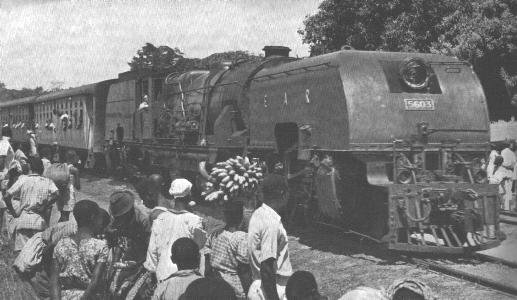 Wikipedia informs us that the early numbers in this class arrived in East Africa in time to receive their KUR numbers (Nos. 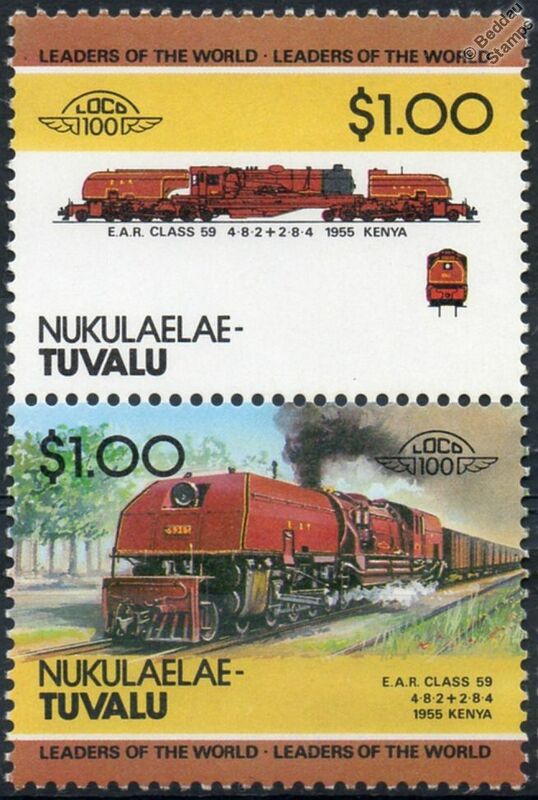 89-95, later Nos. 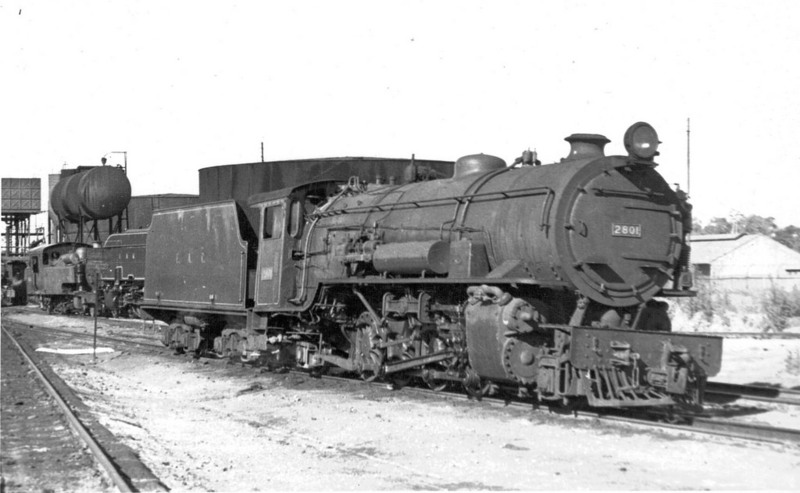 5801-5807). 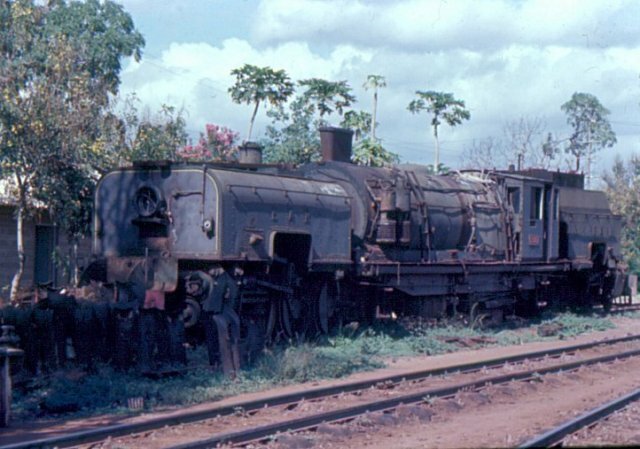 The first of the Class to arrive too late to receive their designated KUR number was No. 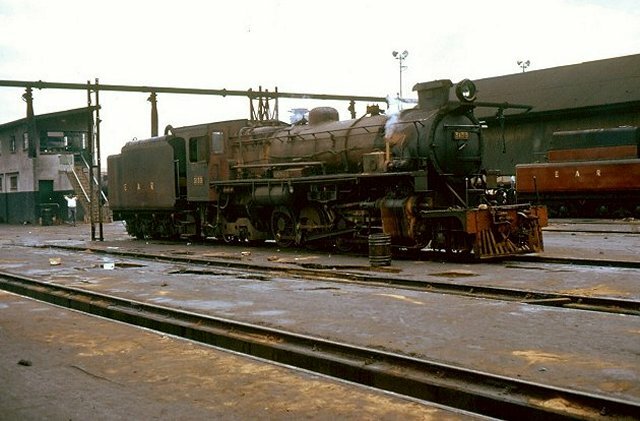 5808. 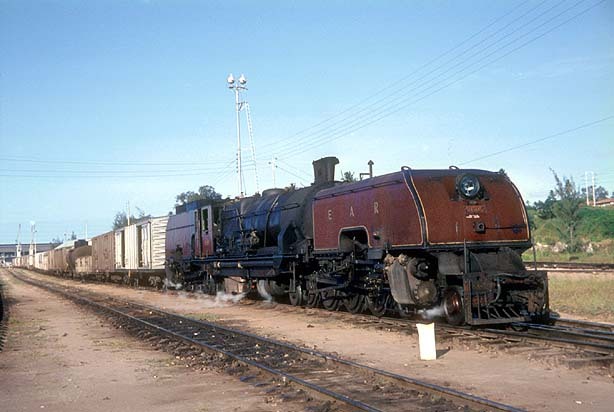 The full Class 58 bore the numbers 5801 to 5818. 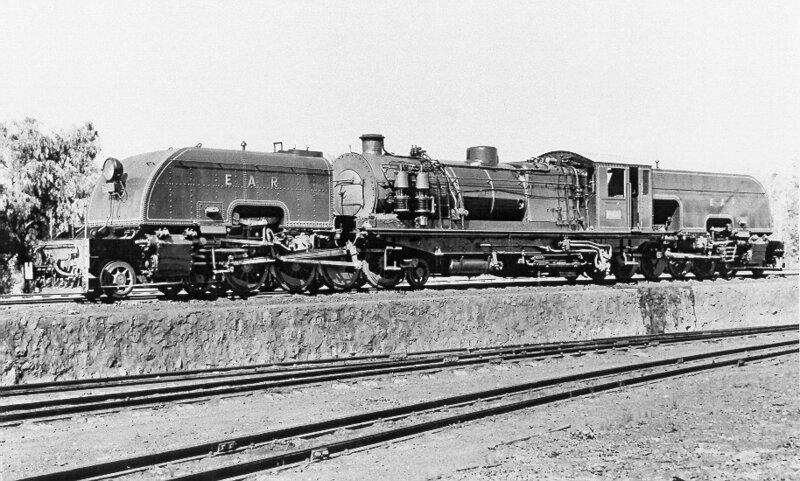 These Garratt’s were the flagship locomotive of the fleet but they were by no means the only significant locomotive classes on the EAR&H. 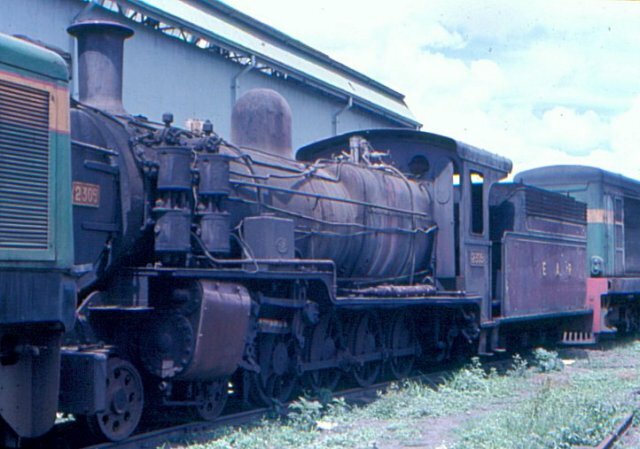 We have already noted the long-serving older locos but there were also a series of new purchases and transfers to the Uganda and Kenya lines. 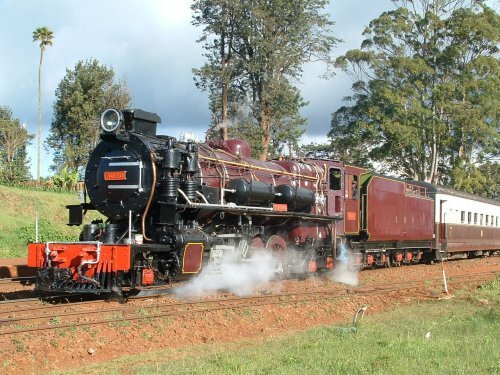 The video immediately above covers movements of a variety of different classes of locomotive on East African metals between Mombasa and Nairobi. 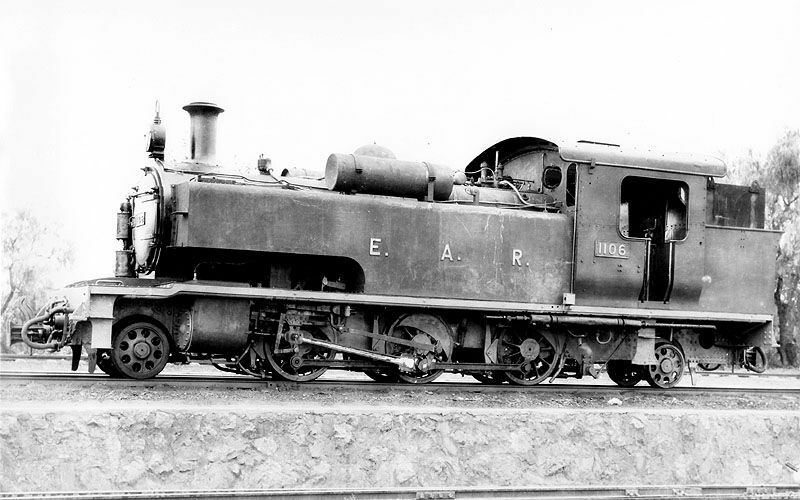 The video above it shows Class 30 No. 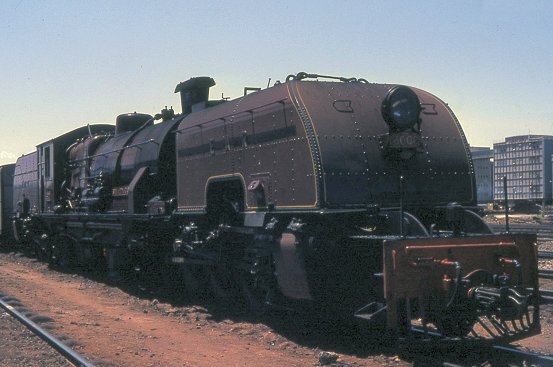 3020 operating in the early years of the 21st Century in its restored state. 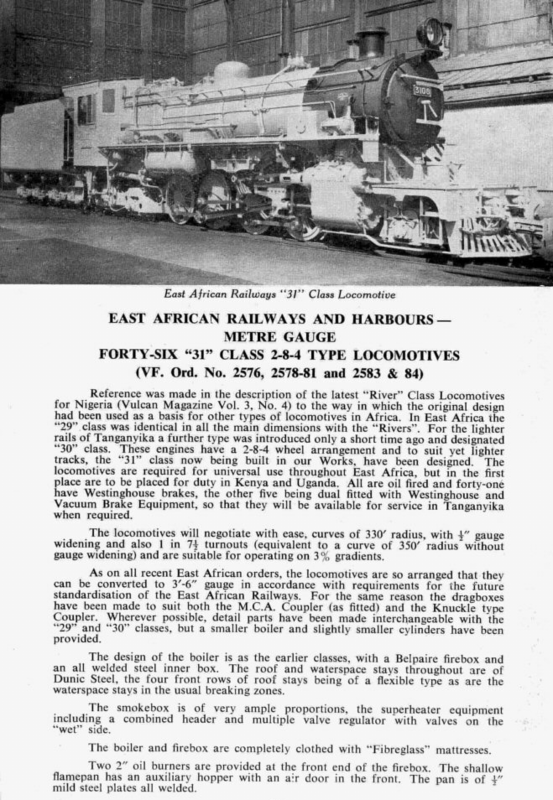 https://en.m.wikipedia.org/wiki/East_African_Railways_and_Harbours_Corporation, accessed on 21st June 2018. 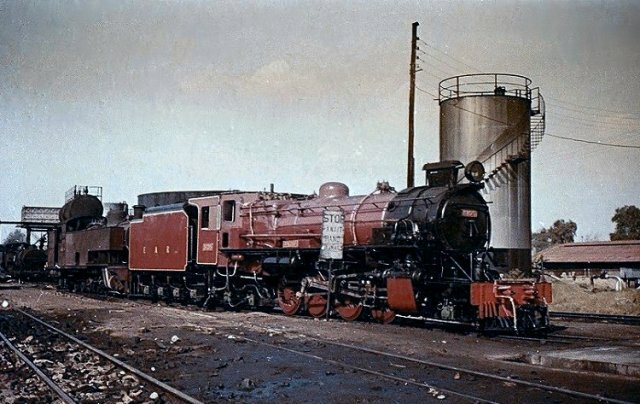 R. Tourret; War Department Locomotives. 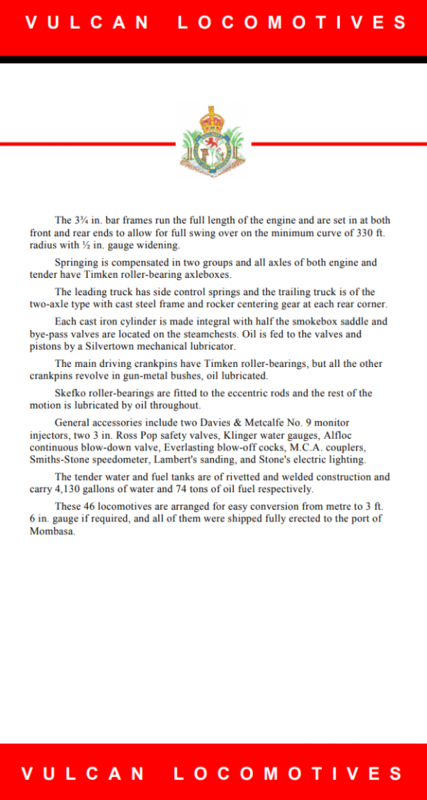 Abingdon: Tourret Publishing; 1976; p. 35. 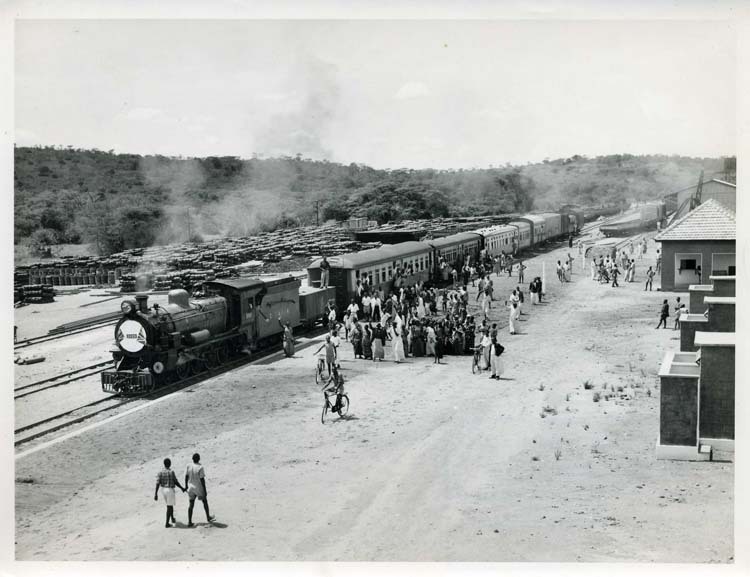 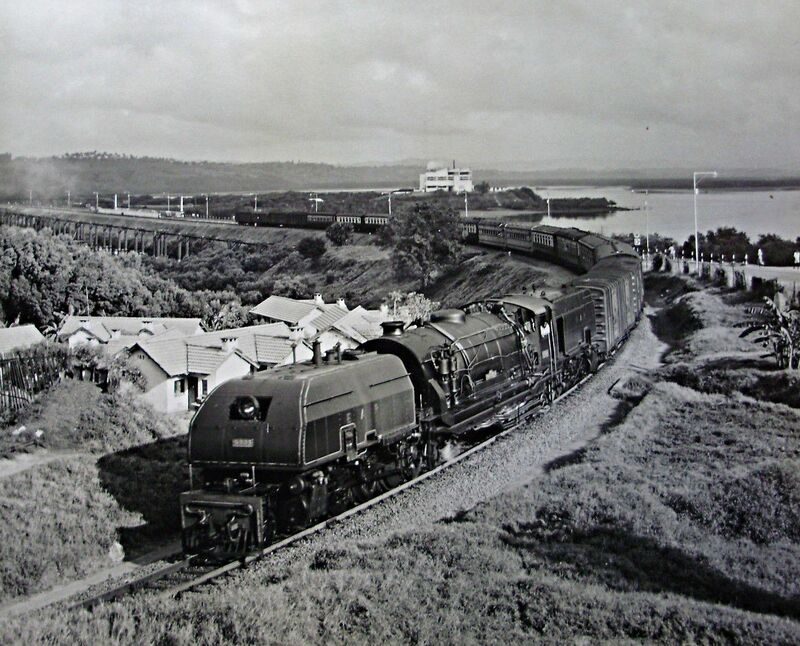 Cambridge University Library: Royal Commonwealth Society Library, Mombasa and East African Steamers, Y30468L. 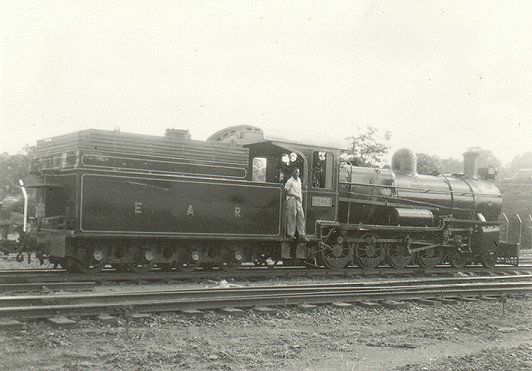 Janus. 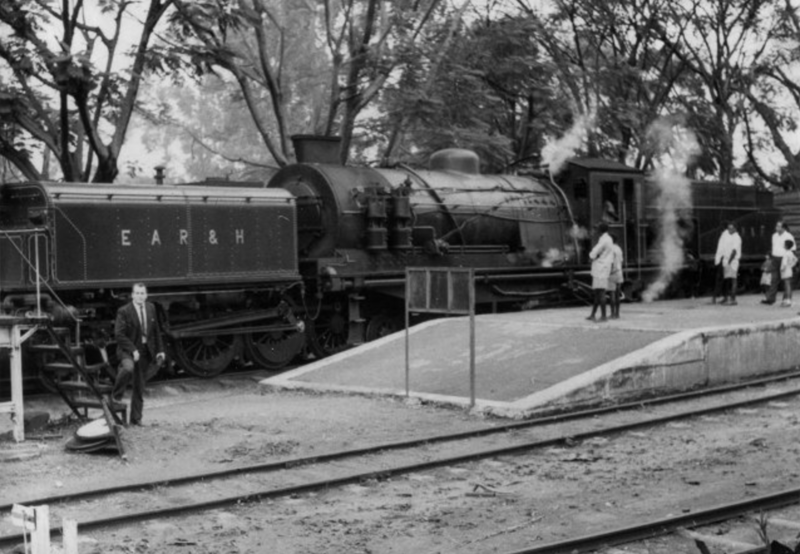 Cambridge University Library. 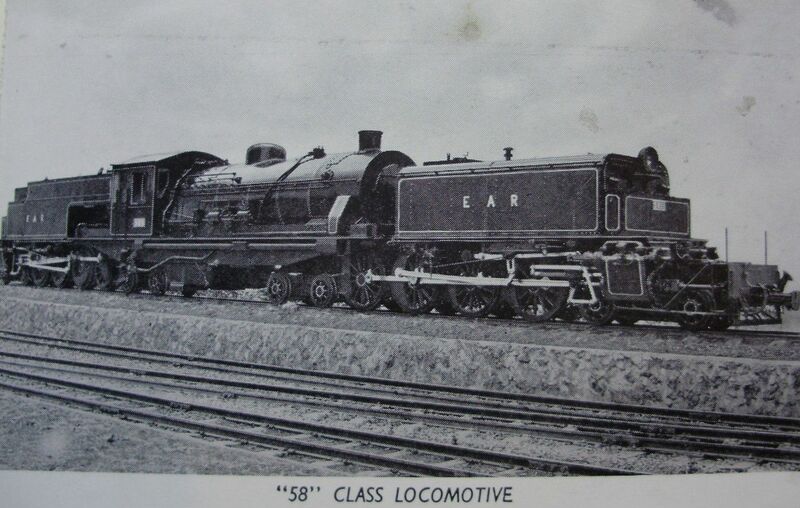 https://en.wikipedia.org/wiki/EAR_58_class, accessed on 21st June 2018. 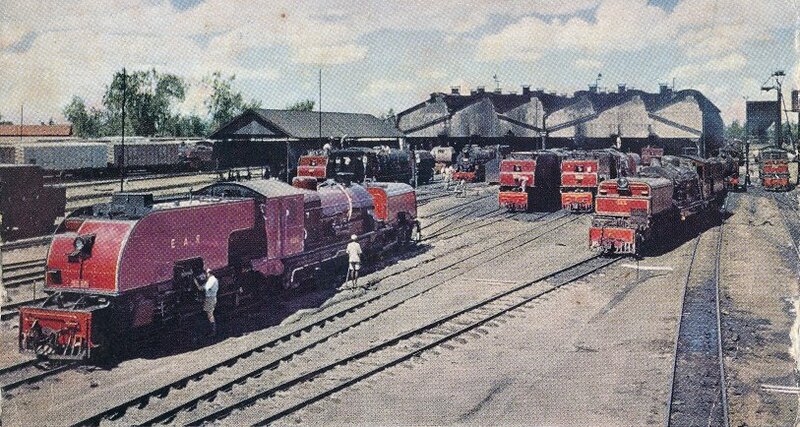 Roel Ramaer; Steam Locomotives of the East African Railways; David & Charles Locomotive Studies. 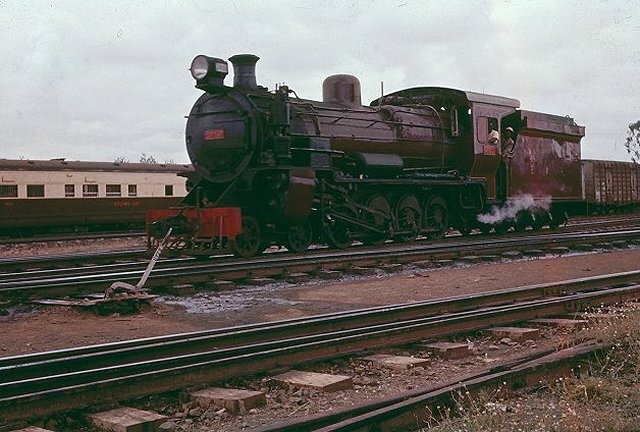 Newton Abbot, Devon, UK, 1974, p65-85. 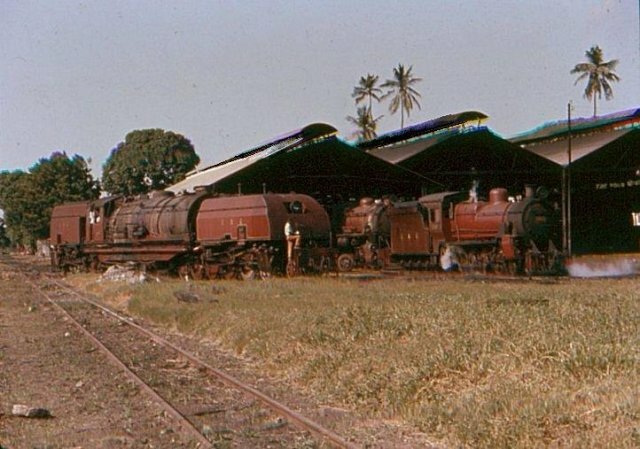 http://www.mccrow.org.uk/EastAfrica/EastAfricanRailways/EARKevinPatience/PatienceMombasaMPD.htm, accessed on 21st June 2018.
https://www.world-railways.co.uk/general-photo-159, accessed on 22nd June 2018.
https://www.pinterest.co.uk/pin/512143788857414150, accessed on 21st June 2018.
http://www.mccrow.org.uk/eastafrica/eastafricanrailways/EARIainMulligan/IainMulliganEAR.htm, accessed on 1st June 2018.
https://libcom.org/library/east-african-railway-strike-1959-60-labour-s-challenge-inter-territorialism, accessed on 22nd June 2018.
https://www.flickr.com/photos/124446949@N06/35821749336, accessed on 16th June 2018.
https://www.pinterest.co.uk/pin/131871095322011646/?lp=true, accessed on 16th June 2018.
http://www.steamworkshop.co.uk/portfolio/5-ear-10-class, accessed on 22nd June 2018.
http://www.beyergarrattlocos.co.uk/pics5.html, accessed on 22nd June 2018.
https://www.pinterest.co.uk/pin/496662665137202654/?lp=true, accessed on 22nd June 2018.
http://www.oldcambrians.com/Train4.html, accessed 1st June 2018.
http://www.energeticproductions.com/EARandH/PublicityPhotos.htm, accessed on 22nd June 2018.
http://www.mccrow.org.uk/eastafrica/eastafricanrailways/KampalaNairobi.htm, accessed on 16th June 2018.
https://en.m.wikipedia.org/wiki/KUR_EC1_class, accessed on 16th June 2018.
http://www.internationalsteam.co.uk/articulateds/garrattsafrica02.htm accessed on 22nd June 2018.
http://sa-transport.co.za/trains/museums/nairobi_railway_museum.html accessed 16th June 2018.
https://en.m.wikipedia.org/wiki/EAR_58_class, accessed on 23rd June 2018.
https://en.m.wikipedia.org/wiki/EAR_60_class, accessed on 25th June 2018.
http://www.beyergarrattlocos.co.uk/pics6.html, accessed on 25th June 2018.
http://www.internationalsteam.co.uk/articulateds/garrattsafrica02.htm, accessed on 25th June 2018.
https://www.national-preservation.com/threads/uganda-railways.1150502/page-2, accessed on 14th June 2018.
https://en.wikipedia.org/wiki/EAR_13_class, accessed on 25th June 2018.
https://en.wikipedia.org/wiki/EAR_29_class, accessed on 25th June 2018.
https://en.wikipedia.org/wiki/EAR_30_class, accessed on 25th June 2018.
https://en.wikipedia.org/wiki/EAR_31_class, accessed on 25th June 2018. 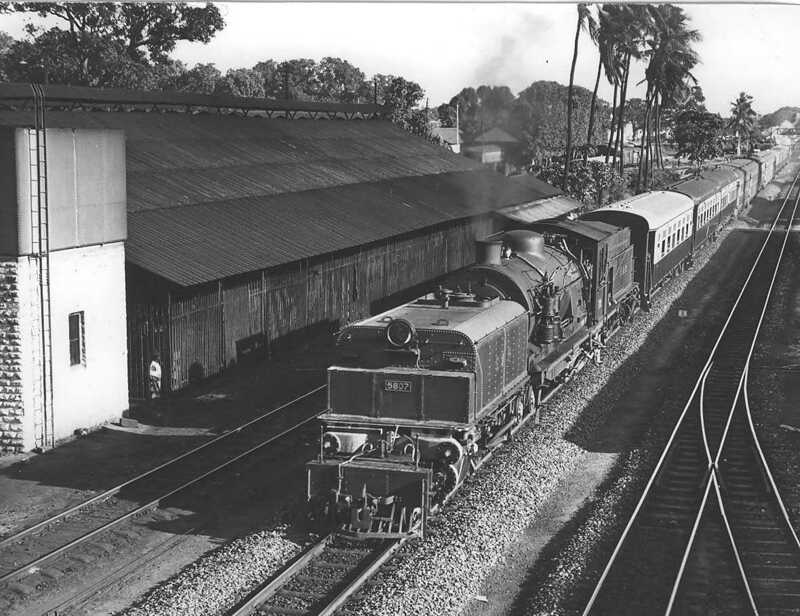 A. E. Durrant; C. P. Lewis; A.A. Jorgensen; Steam in Africa. 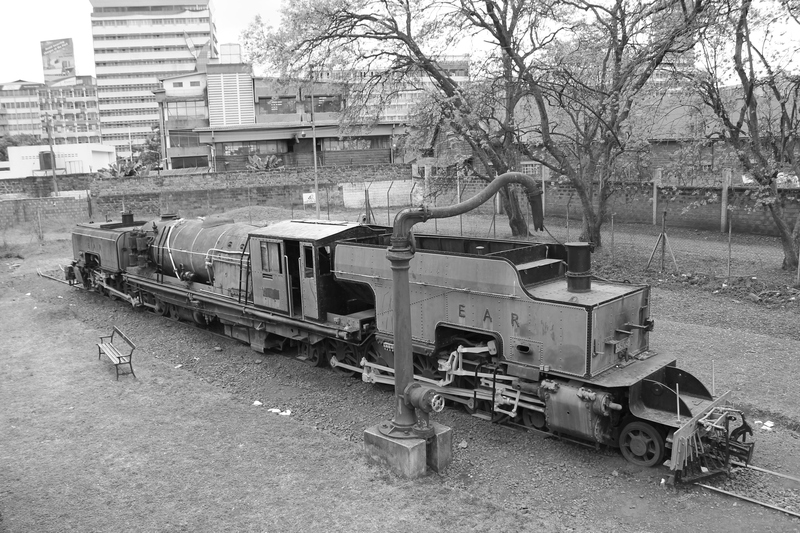 London: Hamlyn, 1981.
https://www.flickr.com/photos/124446949@N06/38099089665, accessed on 26th June 2018.
http://www.mccrow.org.uk/EastAfrica/EAR&H/Tanzania.htm, accessed on 26th June 2018.
http://www.trevorheath.com/livesteaming/trevor_heath_1.htm, accessed on 26th June 2018.
http://therealgaffney.zenfolio.com/p634783771/h5190B4CA#h5190b4ca, accessed on 26th June 2018.
http://www.enuii.com/vulcan_foundry/models/live%20steam.htm, accessed on 26th June 2018. 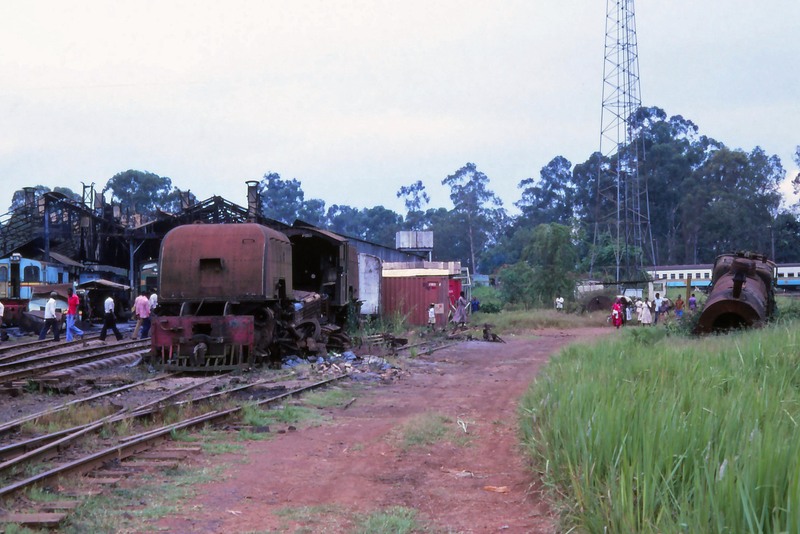 This entry was posted in Railways Blog, Uganda and Kenya Railways on June 26, 2018 by rogerfarnworth.